Moonlight Benjamin (real name), is born in 1971 in Haiti and grew up in a protestant orphanage, learning how to sing at church. But quickly she left Church songs and gospel to a more personal musical frame. She says: “I had a desire for music and after a few years in a Protestant orphanage, I felt the need to go to meet my original culture. The practice of singing in church was not enough for me anymore. I felt away from my culture and I had to confront myself, meet the strength of the earth, the strength of my country, this age-old strength that makes Haiti.” She sung then with many Haitian artists before leaving to Europe. Welcomed in France in 2002 to perfect her musical training, Moonlight Benjamin’s first projects merged when she encountered with musicians from Toulouse. Real voodoo priestess (initiated in 2009), she first became known with the band named Dyaoulé Pemba (with which she’s been world music artists selection on the famous Printemps de Bourges Festival) then under her own name, under her own project, following her will to make Haiti and its story and culture to be better known. Since 2013 she performs with major jazz artists like saxophonist Jacques Schwarz-Bart and pianist Omar Sosa (projects: “Jazz Rachine Haiti”, “Voodoo Jazz Trio”. “Creole Spirit”) who were impressed by her vocal skills. In 2018, 12 years after she began her world music artist career and after 2 albums, and in parallel with jazz and world music collaborations she started with Omar Sosa and Jacques Schwarz-Bart, Moonlight Benjamin releases a new personal project and a third album “Siltane”, focused on a more electric music, supported by jazz-rock guitarist and arranger Matthis Pascaud. Not afraid to experiment and not shackled by what is considered mainstream, she holds soul and fire of all Haitian people. She represents her country with imaginable style by putting her voice on her own concerned lyrics or lyrics from famous Haitian writers. 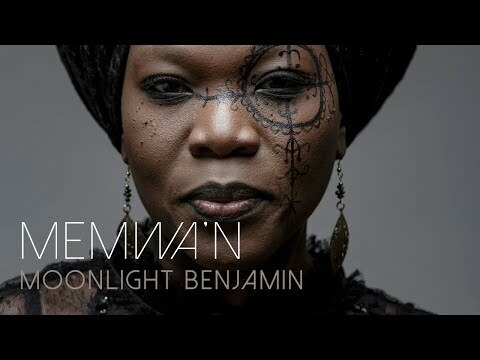 Moonlight Benjamin is a culmination of all your favourites from the heart of a woman who shares her culture with the rest of the world with her voice. She offers with her new album “Siltane” a journey along a revisited blue rock version of an authentic Creole culture which has a history of struggle for its recognition although it was the first “Black Republic” ever established in the world. Soul blues mama & punky rock queen at the same time. Impressive.